This event is presented by the Friends of the South Portland Public Library and is offered free to the public. There will be a signing by the author following the event. Monica Wood’s work includes Secret Language, My Only Story, Ernie’s Ark, Any Bitter Thing and her latest, When We Were the Kennedys. She also writes books to help teachers and writers such as Short Takes, 12 Multicultural Novels: A Reading and Teaching Guide, Critical Reading Activities for the Works of S.E. Hinton, Description, and The Pocket Muse, Vols. 1 and 2. Her most recent book, When We Were the Kennedys: A Memoir from Mexico, Maine won the 2012 May Sarton Memoir Award and was runner-up for the 2012 New England Book Festival Award in autobiography. It was on Oprah Magazine’s summer-reading list, an IndieNext pick, a Radio Boston summer pick, and New England Booksellers Association bestseller. Any Bitter Thing was a top-ten finalist for Best Spiritual Book of the Year at beliefnet.com as well as the Top Ten Booksense pick and the American Booksellers Association bestseller. Monica Wood's book The One-in-a-Million Boy was available from LibraryThing Member Giveaway. 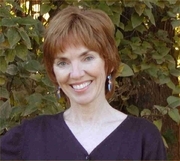 Monica Wood is currently considered a "single author." If one or more works are by a distinct, homonymous authors, go ahead and split the author. Monica Wood is composed of 4 names. You can examine and separate out names.